Barron Miles sat there for a moment, pondering the decision. Which play is more deflating, he was asked. An interception or a blocked kick? A master at both, the 12-year CFL vet eventually came to a decision. “I guess if I was blocking the kick I think that would be more deflating because everyone knew I was going to go for the kick,” the league’s all-time leader in blocked kicks (he retired with 13) said. Then his mind went to his other specialty: Interceptions. Playing from 1998 to 2004 with Montreal and from 2005 to 2009 with BC, Miles pulled in 66 of them, tying him for second all-time. He added 980 interception return yards and had five returns for touchdowns. 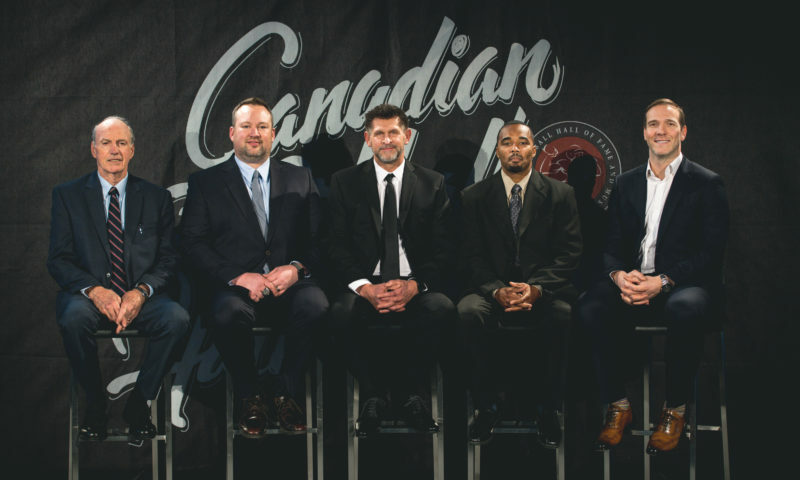 Now the defensive backs coach for the Edmonton Eskimos, Miles said his sense for the ball, whether he was on special teams or on defence, a gift. “I think I was blessed with a gift to go read things and it just came easy to me,” he said. “I tell some of the guys now that I’m coaching, they always ask me, ‘What was it?’ I tell them that football came easy to me. I didn’t make it harder than it was. It was a gift that I took advantage of. I believe in what I’m seeing and I go react to it. “(Other players) see it and over analyze it and think twice about it. The play is over with already, it’s gone. I trusted what I saw, I believed in it and I did it. I reacted and I lived with it. Perhaps Miles knew quarterbacks so well because when he started playing football he was one. Watching his older brothers play, a five-year-old Miles felt like he could throw the ball better than the kids he saw. He had to wait two years until he was big enough — “They snuck me to the weigh-in and put weights in my pocket, I made weight and the rest of it is history,” he said, laughing at the assist his brothers gave him — but once he was finally on the field he didn’t look back. He got a couple of college offers to play quarterback, but chose to play cornerback and special teams at Nebraska. He was drafted by the Pittsburgh Steelers in 1995, suffered a knee injury in training camp and ended up with the Alouettes in 1998. He knew nothing about the CFL, he admitted, until then-Als GM Jim Popp called him. “I look at it as no matter where I played I wanted to be one of the best players or most talked about players that played the game,” Miles said. 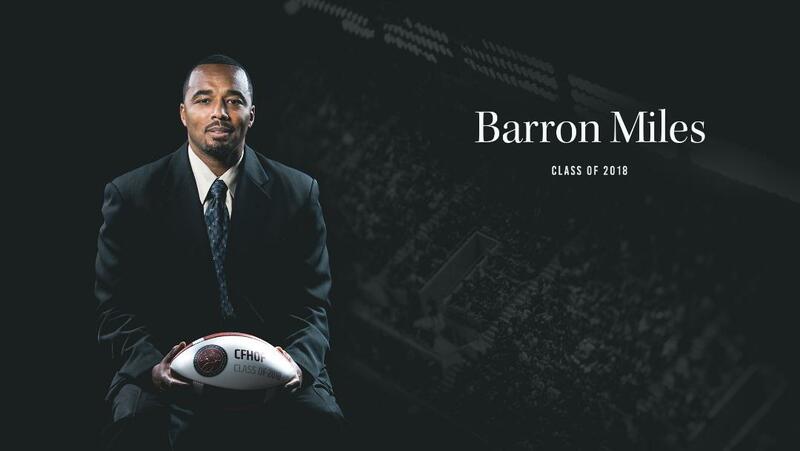 “Whether it was arena, the CFL, the NFL, I was going to give all of my heart to it and make sure someone said something about Barron Miles. Miles viewed himself as a the type of teammate who expected those around him to give as much as he did. Now in his eighth year as a coach, he tries to instill that in his players. “If I’m doing it, you’re doing it and I hold everyone accountable. I hold them to high standards,” he said.